Not the actual TMNT Shellraiser roller coaster. It was recently announced that the world’s steepest roller coaster will be coming to New Jersey. It’s called the TMNT Shellraiser, and it will be housed at the Nickelodeon Universe Theme Park in East Rutherford, which is part of the $3 billion American Dream Meadowlands entertainment complex opening later this year just a short drive from New York City. However, after it opens, the Shellraiser will take Takabisha’s title. The ride will have a vertical drop at an angle of 121.5 degrees, which is .5 degrees steeper than the Takabisha. According to NJ.com, the ride will pause at the top of its steep drop, providing a stunning view of New York City across the Hudson River, before plunging straight down. 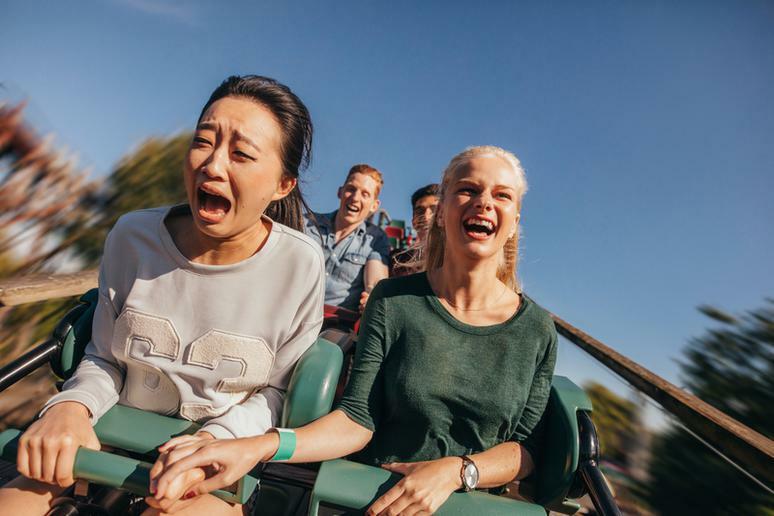 The ride might become one of the best roller coasters in America, or possibly even join the ranks of the scariest and most thrilling roller coasters in the world.